If you’re looking for some serious Netflix and chill action this summer, we’ve got some recommendations on weed shows for you. 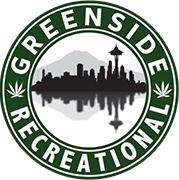 But before you hit the couch, swing by Greenside Recreational for the best selection of marijuana products in the Seattle and Des Moines areas. You can even order online for same day pickup at either our Seattle or our Des Moines location. Named “Best Recreational Store of the Year” by Dope magazine, our bud tenders have been sharing their immense cannabis knowledge with our customers for years. And now, they’re also ready to share their favorite shows to watch while high. Watch the Season 4 trailer, featuring appearances by RuPaul and Steve Buscemi. Need to stock up on pre-rolled joints, shatter wax, edibles or a few of the top-rated weed strains? Order online for same day pickup at either our Seattle or our Des Moines location.